New & Improved Design! Our new design features a powder coated metal base and lid, braided metal hanger, and durable plastic tube for easy cleaning and weather resistance. 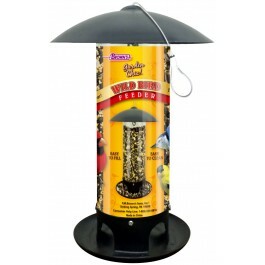 Feed the birds all year-round with our 1.5 lb. 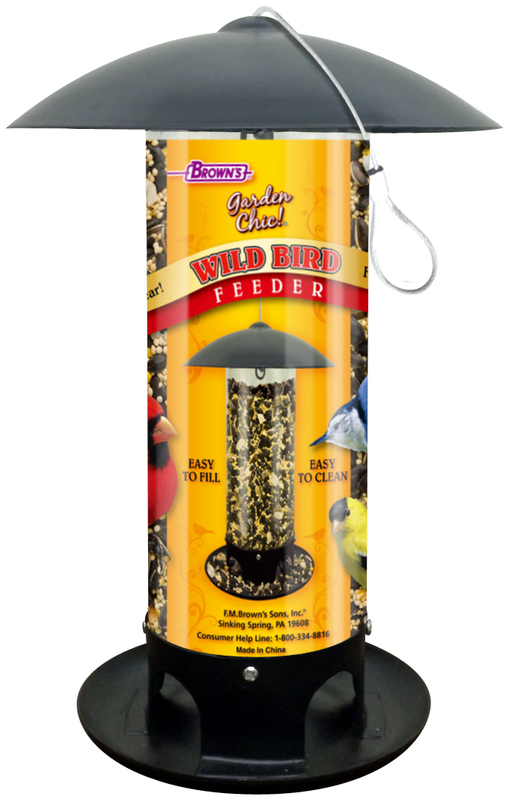 capacity Garden Chic!® Wild Bird Feeder. Our new & improved design features a powder coated metal base and lid with an easy to clean plastic tube. This sleek design will attract all types of wild birds. We’ve included a braided metal hanger to secure the feeder on a tree branch or hook. It’s weather resistant, easy to fill, and easy to clean.